An integral part of running a successful business is keeping your employees happy, and increasing camaraderie. It is common for companies to throw corporate events, whether it is a team building exercise, celebrating an employee’s or company’s success or just an excuse to have some fun outside of the office. Skyline Cruises provides a unique environment for your corporate event. We will customize your event and help you make it one your employees will always remember. Enjoy a company cocktail party aboard the Skyline Princess. With 4,250 square feet of available space, your employees will certainly have plenty of room to mix and mingle. Your staff will enjoy the breath taking views of the area’s most iconic landmarks in the New York Harbor. Citi Field, The Empire State Building, the Statue of Liberty and the Brooklyn Bridge are just a few. You have the ability to create your own casual cocktail reception. We will help you plan your menu. Skyline Cruises has flexible schedules and can accommodate any need you have for a corporate event charter. 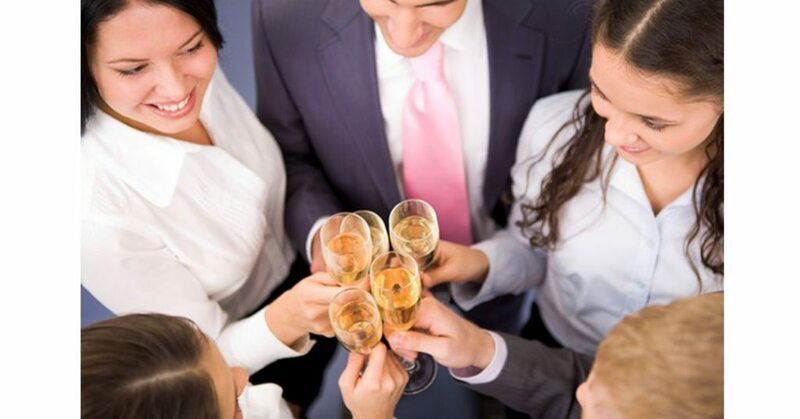 A corporate cocktail hour is a perfect way to have your employees socialize and network in a free and fun setting. Team outings help boost company morale. Teamwork can increase productivity and allow team members to identify with one another’s strengths and weaknesses. As a team, your employees can eat, drink, gather and sightsee aboard the Skyline Princess. Hosting a team outing on the ship is a unique way to successfully bring people closer together in a working capacity. While on board the Skyline Princess, different groups of people could be spread out among the three decks working on different projects. Three floors of work and play! You can choose either a sit down formal event or a casual cocktail event. We have menus and floor plans available for you to review and we will help you plan the most appropriate event. Each year, companies tend to have an annual summer picnic for their employees to celebrate the year and have some fun in the sun. Wouldn’t it be a spectacular change of pace to host your company picnic aboard the Skyline Princess? The ship leaves from the World’s Fair Marina and cruises around the New York Harbor. Your guests will enjoy sightseeing, entertainment, and world-class cuisine while on board. A corporate cruise on the Skyline Princess allows you to sit back and relax and enjoy your event all while fostering a positive work environment for your employees. We can tailor your event specifically for all of your corporate needs. Please call us at (718) 446-1100 or fill out the form to book your next corporate event.